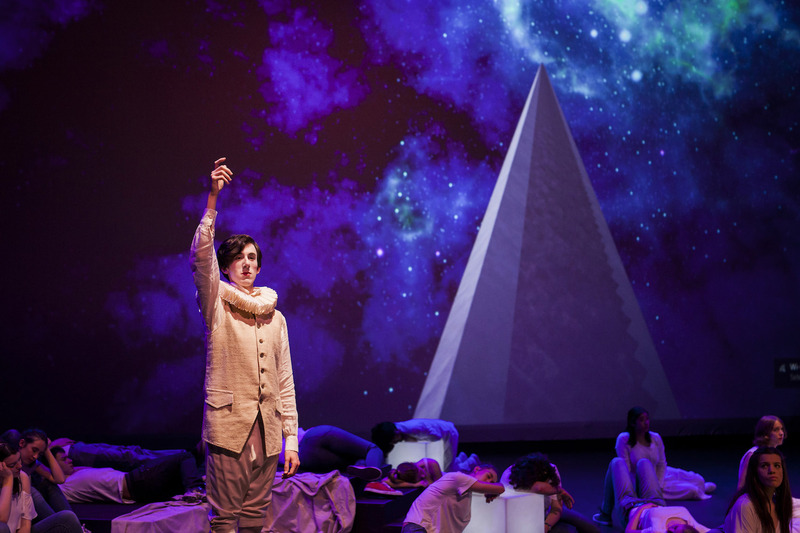 In their final presentation for the year, Victorian Opera stimulates the eyes as well as the ears with abstract 21st Century choral beauty Four Saints in Three Acts. Written in 1927/28, the opera defies expectations on a number of levels. Firstly, the 60-minute work contradicts it title, in that it is divided into four acts with some 20 saints included. More significantly, far from the heroines, villains and emotionally charged storylines usually encountered in opera, Gertrude Stein’s libretto is an impalpable collage of words, chosen for their aural combinations rather than for the traditional purpose of expressing emotion and advancing plot. 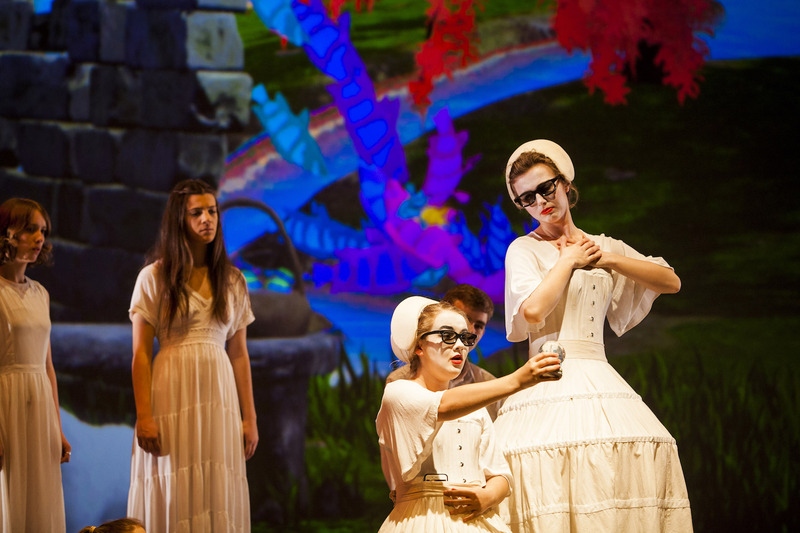 Stein’s intention becomes clear as the experience of the opera unfolds. The music of Virgil Thompson is exceedingly beautiful, and, without characters and narratives to follow, the audience is free to immerse themselves in the splendour of the music and allow their minds to freely create links, themes and meaning. Efforts to focus and illicit literal significance of the text soon melts away, allowing the audience to enjoy the whimsical concept on their own terms. Neatly adding to the nonfigurative experience is the animated 3D background created for the piece by Deakin Motion.Lab. Mirroring the absence of literal meaning in the text, the ever-evolving background scenery allows the mind to piece together its own collective interpretation. Unfolding like the spontaneous flow of images of a dream, the backdrop soars through clouds, explores a dilapidated chapel, crosses an arid post-apocalyptic desert and climbs a mighty staircase to the sky. All the while, images including a lion, a sheep, a snake and flying fish recur and, occasionally, interact. The overall 3D effect is intensified by the fact that the absence of a proscenium arch in the Merlyn Theatre allows for a massive rear projection screen. 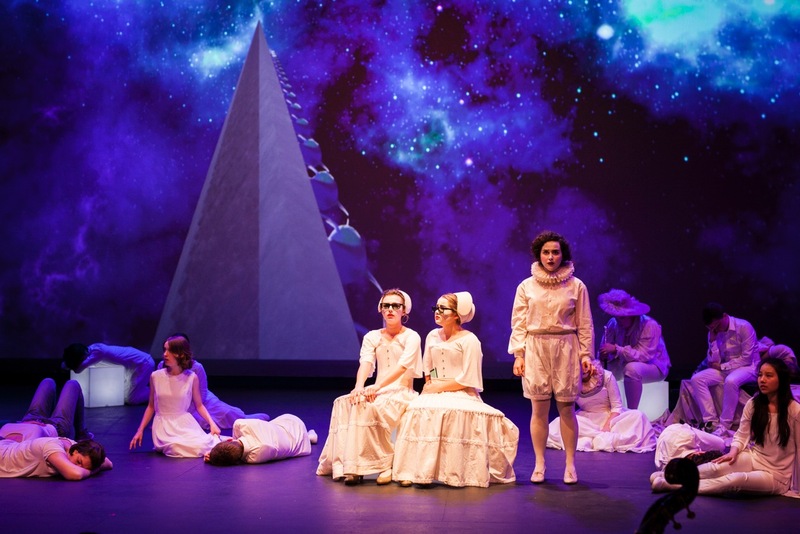 Featuring a generous sized ensemble of 45 singers, the company for this youth opera includes young, emerging singers as the cast of Saints and a large chorus of singers primarily sourced from Victorian Opera Youth Chorus Ensemble (VOYCE). The company of young singers is grounded by the mature presence of Jerzy Kozlowski and Margaret Arnold as Compère and Commère. 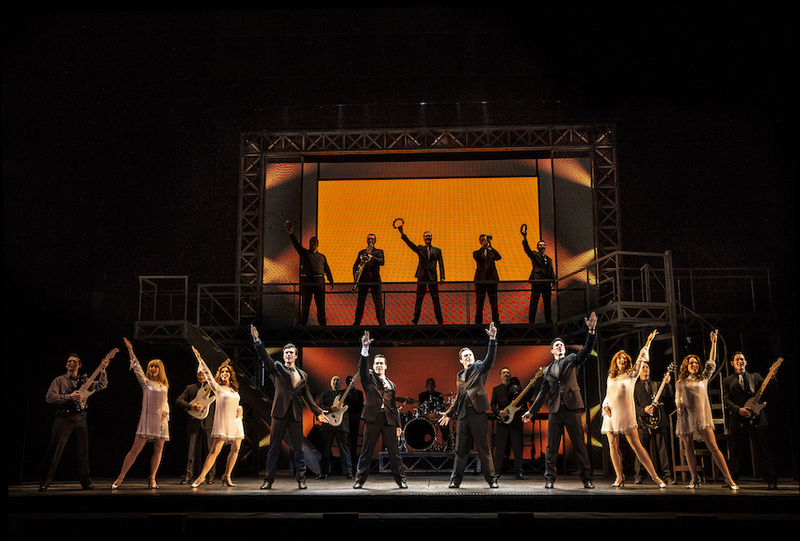 Experienced artists Carlos E. Bárcenas and Raphael Wong bring gravitas and vocal power to the stage. Over and above the unusual libretto and creative imagery, the most striking element of the performance is the sheer beauty of the music. Conductor Phoebe Briggs has prepared and polished the music to a level that allows the young cast and the orchestra of 15 musicians to present the unfamiliar work with great confidence. The choral singing is nothing short of exquisite. Casually dressed in blue jeans and white t-shirts, the chorus take photos on their cell phones as the angelically white clad Saints enter from the rear of the auditorium. This opening sequence creates a stereo effect of gorgeous sound. With so many stimuli already at play, director Nancy Black has wisely kept movement to a minimum. 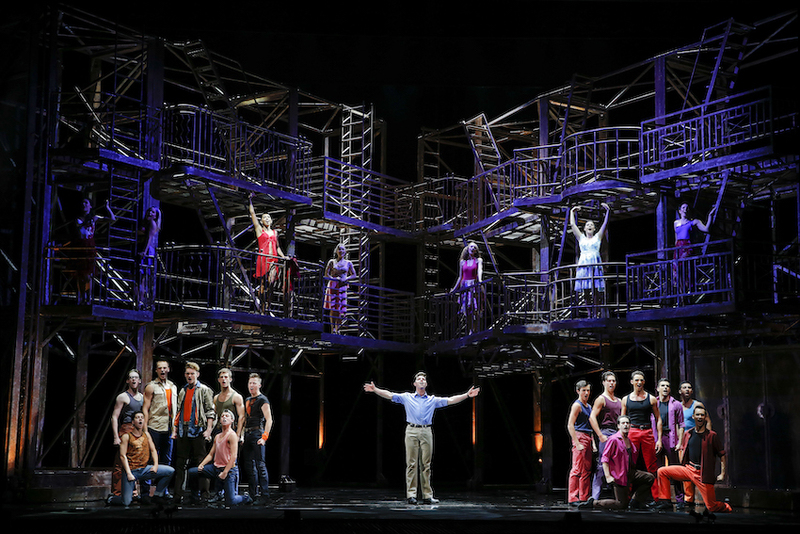 As well as perfecting the harmonies, the company impresses with their mastery of the abstract libretto. Black has clearly worked closely with the singers to bring coherent expression to the deliberately nonsensical poetic style of the text. Co-director Professor Kim Vincs has enhanced the presence of the 3D scenery by having the cast occasionally interact with the movement of images. 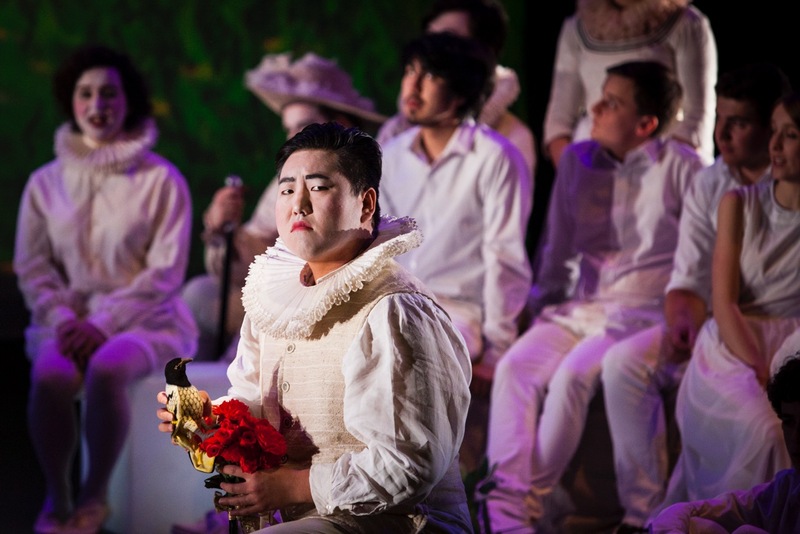 As well as allowing the audience to hear young singers, the youth opera also provides significant experience for young singers and musicians to work in a professional opera production. The assembled company received an additional aspect of experience at this performance, when the show was stopped and the audience evacuated due to the ill health of an audience member. The young performers not only maintained a respectful presence during the incident but also admirably threw themselves back into the final third of the opera to bring the energy and focus back to previous levels. 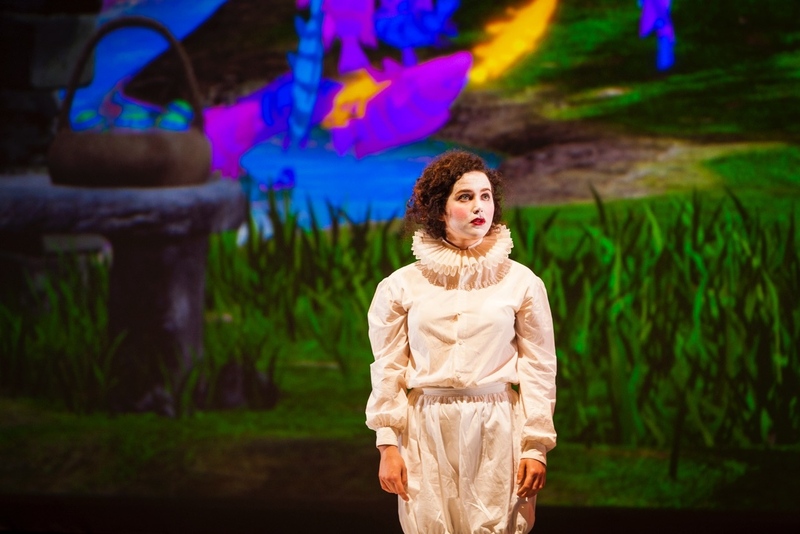 Four Saints in Three Acts was a unique experience for performers and audience alike. Victorian Opera is commended for sourcing such interesting material and presenting it to such a high standard. The investment in the future of young singers and musicians is also of the highest merit. Four Saints in Three Acts played at Merlyn Theatre, The Coopers Malthouse, Melbourne on 30 September and 1 October 2016.